NBC has canceled two of its freshman comedies, A to Z and Bad Judge, but both will see out their initial production orders of 13 episodes. Both shows started off modestly but found themselves in an uphill battle opposite Scandal and were quickly on the bubble. 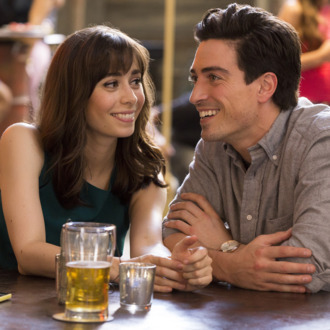 The “adorable” rom-com A to Z never got its footing — despite its “considerable” and even “formidable” charms — bringing in around 4.8 million viewers in its premiere and dropping to 2.6 million viewers and 0.7 rating with its most recent episode. Kate Walsh’s Bad Judge fared slightly better (despite poor reviews), scoring around 6 million viewers in its first outing before leveling out at around 4 million viewers and a 0.9 rating. There’s the off-chance that NBC will ask these two to stick around if they have a last-minute surge, but that’s unlikely to happen. This is probably good news for the cast of Bad Judge, who deserves “other, better shows,” and somewhat sad news for Andrew and Zelda shippers who wanted to know exactly how their eight-month, three-week, five-day, and one-hour relationship ended. What happened in that last hour? !